Maddie & I were invited to participate with My Insanity's Mom and Me Elmer's Craft & Tell party. 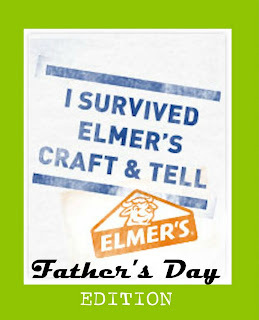 and bring home some incredible freebies from Elmer's Glue & X-Acto. Maddie LOVED cutting out all of these coordinating ties to create a fun Happy Father's Day banner! Next, Maddie made this gigantic card from an Elmer's foam board. There was plenty of room for all the kids and grandkids to write their tributes to Cowboy. Finally, My Insanity inspired us to make this awesome gift bag out of a lunch sack. And super fast & easy! In addition, at home the kids made these fun Dad Coupons. I designed them to look like matchbooks. Dad really got a kick out of these! Notice the numbers 1 through up to 5 on the right hand side. That's how many times he can redeem that coupon. Haha. 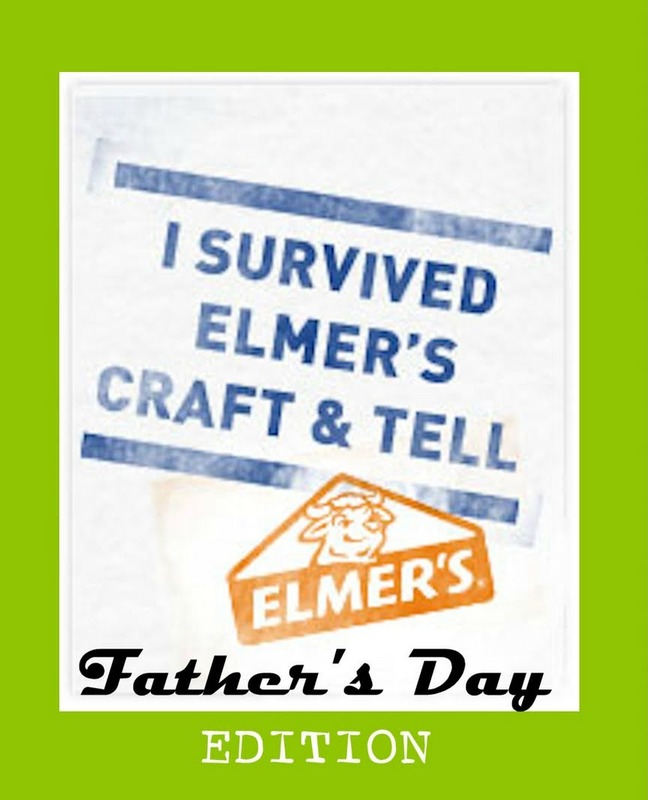 Big thanks to My Insanity & Elmer's Glue for adding lots of extra fun to our Father's Day!! !